On a hot summer day in a quiet countryside, there is a lone person wearing a straw hat pulling out weeds from a rice paddy with his sleeves folded up. Most likely 50’s or 60’s since farming is a dying profession among youngsters. How old would he be? Surprisingly, when he stands and turns his face, he is a young man in his 20’s. Most think farming is work for old people residing in the countryside, but nowadays, many young people are becoming interested in farming. They have even made their own small farm in the city. During the Chosun dynasty, upper class people thought farming was only for commoners and intellects should not engage in it. The elite class believed studying to be more worthwhile than doing hard labourious work on a farm. This thought continued through to our grandparent’s generation. People believed that working in the city was much better than farming in the country. This idea caused many of the younger generations to move to the city, leaving only the elderly in the countryside. There are now so many old people that there is a labor shortage in the country especially in the spring when rice planting begins. The aging countryside population is worsening. In 2014, the percentage of senior citizens in the countryside was 39. 1%, which is 3 times more than the senior population in the rest of the nation which was 12. 7%.1 Since many young generations were not interested in farming, most people in their 20’s have learnt about farming from textbooks during elementary school. Lots of them never had the chance to do any type of farming as a child. Kim Gang, Department of Chemical and Biological Engineering ’14 at Seoul National University said, “When I was in elementary school, farming was only discussed in social studies classes. We also learnt that the countryside was suffering from a labor shortage. We never had the chance to learn how to do any real farming.” Like this, farming was ignored by many people. However, nowadays, young people, especially to people in their 20’s are greatly interested in farming. Although it cannot be directly connected to farming, many young people are starting to enter the agriculture field. Today, the setting for the program Three Meals is the countryside. This program is famous amid many people, especially university students. Lee Boram, Department of Mathematics ’14, a frequent viewer of the program, said “The program is very fun. It not only shows what they eat, but also highlights life in the country. I remember in episode 4, the pepper and eggplant fields were sowed by the celebrities on the show. Watching that, I thought that’s something I’d like to try one day.” In addition to TV media, many smartphone apps are games related to farming such as Real Farm. However, it’s not all virtual, young people are going to the countryside to physically participate in farming activities. The student multi club named Intelligentsia does farming activities. When SMT interviewed Intelligentsia last year, the club representative said, “Our former representative Shin Hongsub was interested in farming. He felt society needed to change so he envisioned this change through farming as a place of healing.” In addition, because of setbacks in 2012 and 2013, the club members said they now understood the tears of farmers. 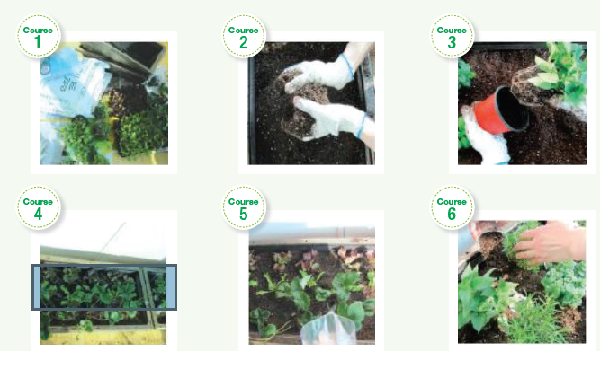 Also, today universities are encouraging students to participate in agricultural activities. In fact, schools are now giving credits to students who volunteer in the country. 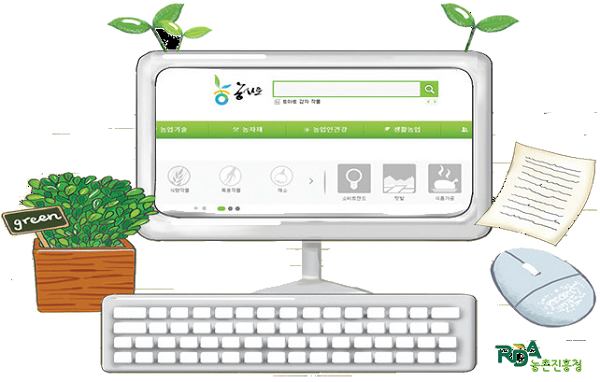 In the case of Sookmyung Women’s University, from 2012, the student council has posted a volunteer recruitment on the school website SnoWe to promote farming among students. In addition to interest, farming is no longer the hard work it used to be. In the past, most of the farming was done by human hands, so people thought farming took much time and required strenuous labour. However, nowadays, farming isn’t as physical as it used to be. Young generations are using up-to-date scientific technology to do farming, so the idea that farm work is demanding has decreased. For instance, some rural communities have been helped by unmanned small helicopters that spread agricultural substances made by university students. No Jungho, a student of Korea Aerospace University said, “We are happy that our device and the system we made have helped the older population in rural communities.”2 Since this new thought is spreading among the generations, more and more young people are headed to the countryside and farms. The great thing about the younger generations becoming interested in farming is that farming could be a lucrative career once they graduate from university. Few people consider farming a possibility; instead, they see it as hard work, a risky field, and something only the older generation does. However, when Jim Rogers, a man who achieved financial success visited Korea, he said, “The best job market of the future is agriculture. Get out of the classroom and go to the farm. An MBA means nothing now; go to a university and specialize in an area related to agriculture.”3 Following his words, some young people made their way to rural areas and are trying farming. Park Taewoo was an ordinary university student majoring in electronics, but after graduating, he decided to become a farmer in his hometown. He said, “I used to think there was no future in agriculture, but after reading books related to future food, I realized how important farming is and I wanted to start organic farming.”4 Now he earns a good income from his crops. Besides Park, a number of other young people are now farming, showing how farming holds a high value, even as high as today’s doctors or lawyers. Last, farming helps the young generation recover from an exhaustive lifestyle. Today’s 20’s and 30’s are perplexed by the terrible competition when job hunting. Some say that they don’t have time to visit the countryside in order to volunteer or travel during university because they need to improve their GPA score and prepare for tests like SSAT. However, by participating in agriculture activities, young people can feel revitalized. Chu Wonji, member of Hope Soil said, “School life is quite dull. 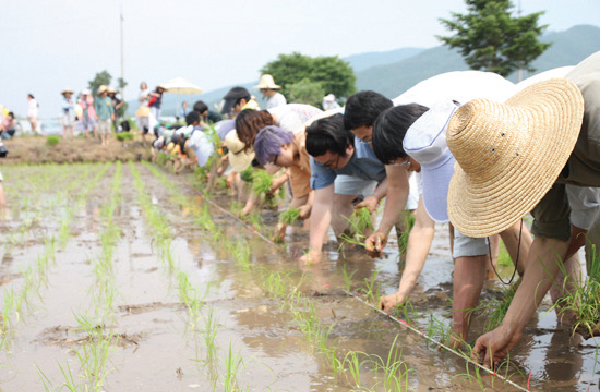 However, exposure to the fresh country air, cultivating the soil with others, and engaging in various communal farming activities makes me feel refreshed.”6 In addition to recharging one’s life, in Seoul, there is a community farming project in which physically-challenged people work together with able-body citizens. Through farming, young people get the chance to meet new people and build relationships. When students apply to university, most never consider applying to an agricultural college because they can’t see a future in that area. Moreover, many people think agricultural colleges are only for students who did badly on the Korean SAT and do not wish to retake the test. Hence, students who enter an agricultural college generally plan to transfer out later. 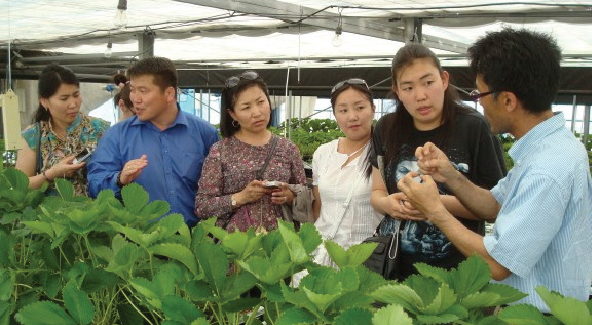 However, Woo Sunhee, Professor in the College of Agriculture Life & Science at Chungbuk University said, “Agriculture is a field of study that merges with most other areas. The potential of agriculture is very big.”7 In other words, farming is now of utmost importance in our lives. How would humans live without food? Not only will farming rank first in terms of job rankings, younger generations will gain more interest and participate more often in farming. Summer vacation is approaching. What about traveling to a rural farming community and helping the elderly farm? They will surely be grateful for your sweetness, and you will have opened eyes to a life greater than that offered to you in the city.